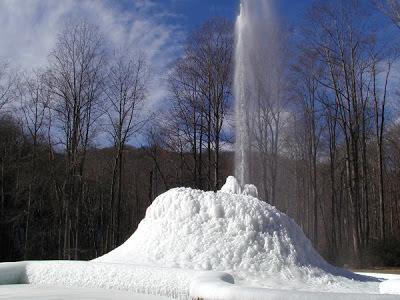 As mentioned recently in our Andrews Geyser post, we wanted to see how the geyser looked during the cold snap we were having earlier this month. 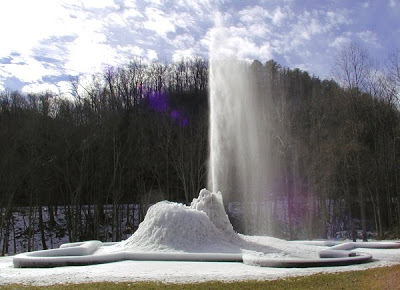 Well, this week, the cold temperatures on Monday and Tuesday helped the ice and snow accumulate even more on the geyser, a man-made fountain constructed in 1885 (and refurbished and moved across Mill Creek to its present-day location in 1911). 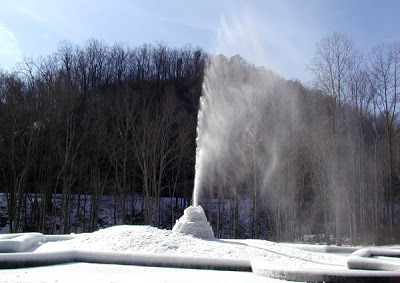 It even became a minor celebrity, with some air time on local ABC station WLOS, and we were told it was also on WYFF (our NBC local station). On two separate days this week, we went back to Andrews Geyser, located two miles from our bed & breakfast, to take more photos. 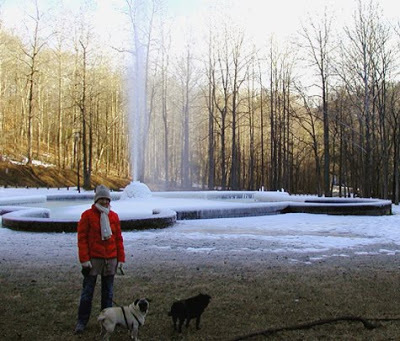 As you might know, the valve to control the geyser’s waterflow and the water source are on our property at the Inn on Mill Creek, so Andrews Geyser is extra special to us. 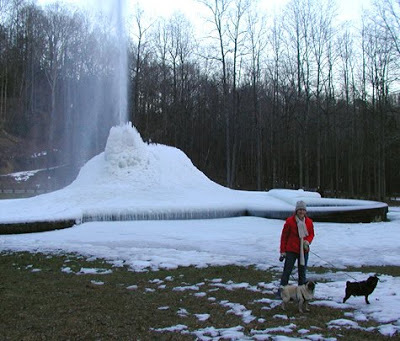 January 12…definitely some ice buildup! 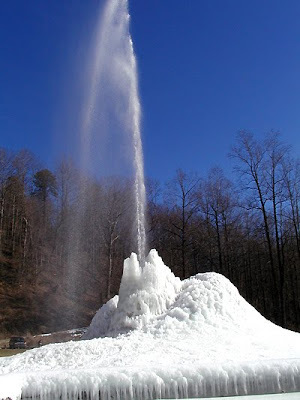 Hope you enjoy the photos of the icy geyser, and if you’re in our neck of the woods, make sure you stop by Andrews Geyser to take some photos yourself! The temperatures were in the 50s today, and we’re looking at a warm weekend ahead, so some of the ice and snow will start melting. 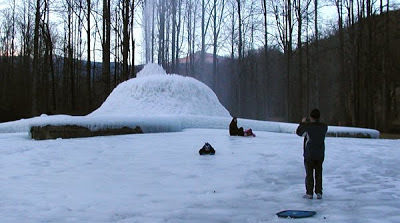 You never know when we’ll get ice buildup like this again at the geyser. 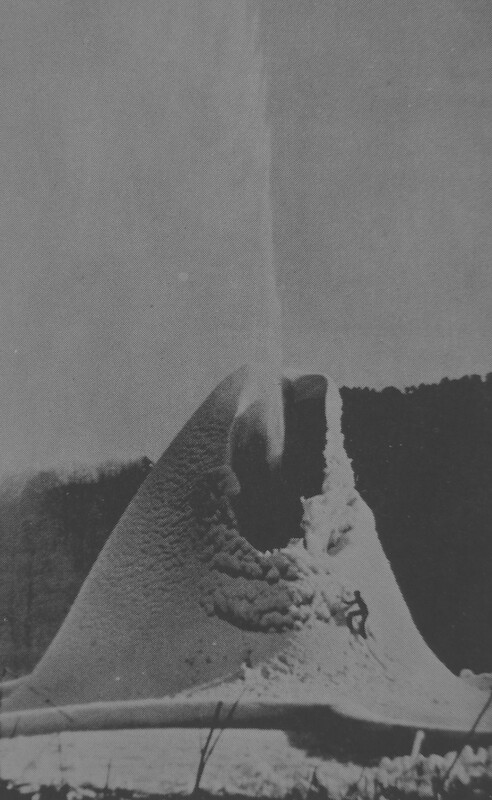 The last time was in 1977 (click for a photo).